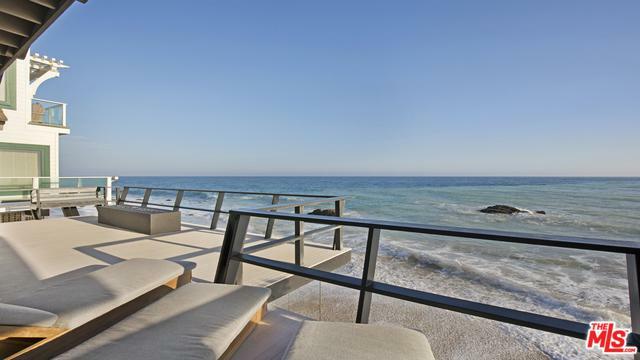 The most private section of Carbon Beach, with your own steps to the sand, directly in front of Deal Maker's Rock! 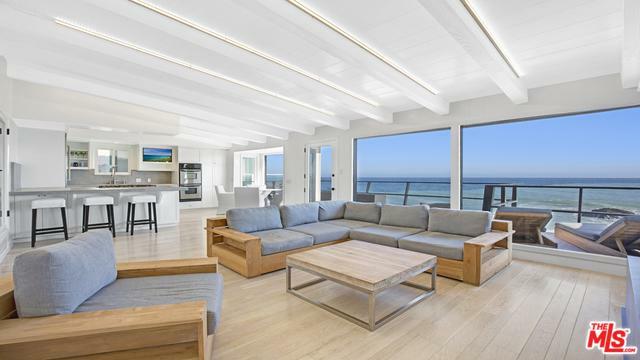 Turn Key and ready for you to enjoy, this opportunity to steal a custom beach home will not last long! Completely redesigned with 3 private bedroom suites, each with their own luxury bath. 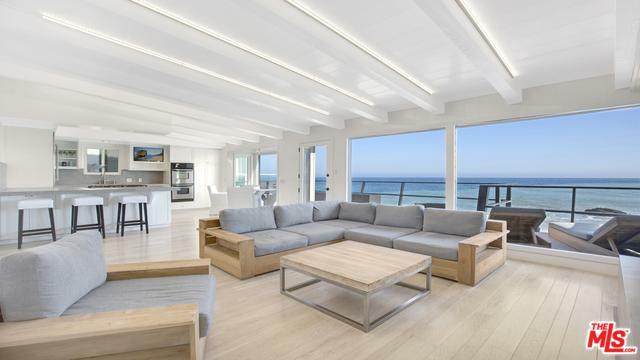 Exposed Beam Ceilings and whitewashed oak floors, fully furnished with custom teak furniture by Malibu Design Center. 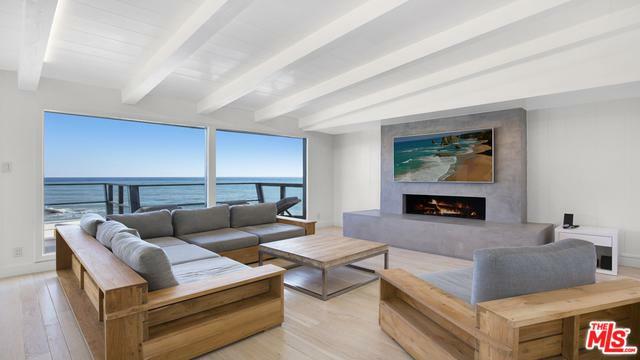 Huge windows showcase expansive ocean views, with a massive entertainment deck that wraps around the main living level, complete with chaise lounges, love seat, fire pit, beach swings and outdoor shower. Stainless Steel appliances from Miele, Wolf and Thermador highlight the sleek, open kitchen. Technology is everywhere and easy to operate: 5 flat-screen TV's, fully networked WiFi, AppleTV's, dimmable LED lighting in every room, Nest thermostat, plus an entry door and security gate controlled directly from your iPhone! 2-car garage. Listing provided courtesy of Asher Ross of Ross Brothers.